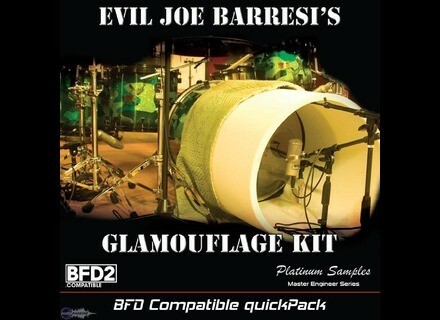 Evil Joe Barresi's Glamouflage Kit QuickPack for BFD, Drum/Percussion Sample from Platinum Samples. 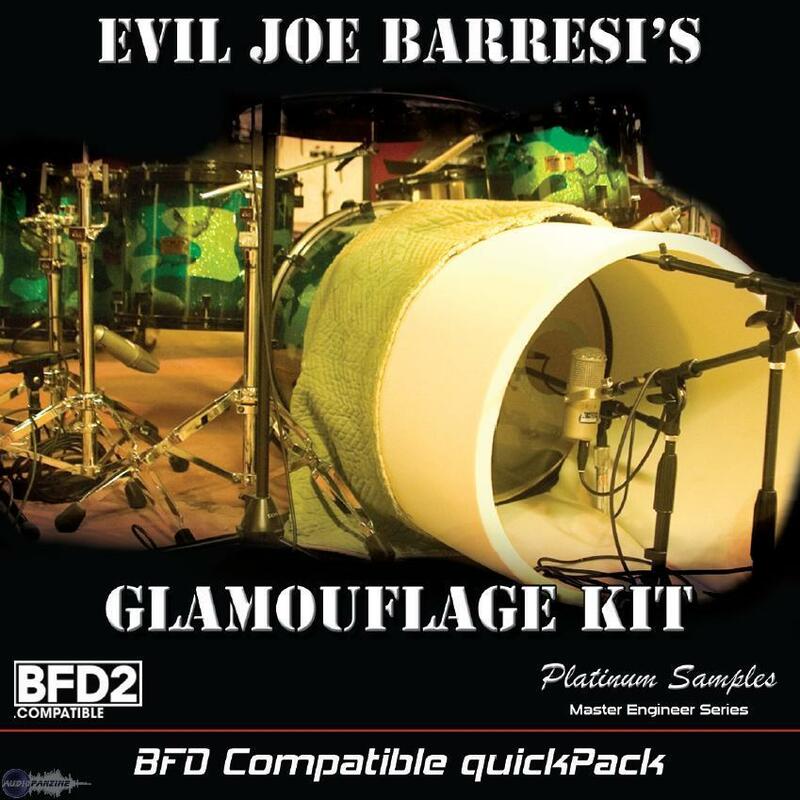 Platinum Samples presents the Glamouflage Kit QuickPack for BFD, a virtual drumkit produced by "Evil" Joe Barresi. Barresi is famous for producing and engineering many modern rock bands such as Tool, Queens Of The Stone Age, Bad Religion, Weezer, Pennywise and Clutch. This BFD compatible QuickPack features the Pork Pie Glamouflage drumkit from the Evil Drums expansion pack. According to Platinum Samples, the drums have been recorded and fully mix-processed on a Neve 8028 console to analog 2" tape at the Sound City Studios. Joe has EQ'd and compressed these sounds without losing any velocity layers or resolution using the same console and equipment he uses when mixing. In addition, Barresi patched the Kick and Snare though his classic Helios console - both through the Line Inputs to give them added warmth, and through the Mic Inputs to give a modern distorted option, offering a total of three options for the Kick and Snare. The Glamouflage Kit also includes over 1,200 new grooves in both BFD2 and BFD 1.5 format. Toms: Pork Pie Glamouflage Toms: 10 x 13", 14 x 16" and 16 x 18"
Delivered on 2 DVDs, the Glamouflage Kit QuickPack has 4 installation options. The 19 GB SuperSize installation have 230 velocity levels for enhanced realism. The Glamouflage Kit QuickPack is available now for $89.99. Zero-G Rhythm Organism Zero-G and Xfonic present Rhythm Organism, a rather original collection which includes over 800 samples of didgeridoo.